Identity, gender, and race; migration, and transcultural processes; female spirituality, anthropological inquiry, rituality, and cosmogony; the female body as source; channeling the relationship of nature and the cycles of life and death as language, these are the paths where the Cuban-born artist Ana Mendieta leads us (Matanzas, Cuba, 1948- New York, USA, 1985) . Her life and work inspire a closer look into contemporary artistic production across multiple modes of expressing female sensibility. Art and life; the public and private spheres; the historical, economic and socio-political contexts; the problems of gender, race, identity, and cultural resistance; the interpretations and practices of a magical-religious nature come together giving form to this plural sample of diversity, inclusivity, multiculturalism, and semantics. 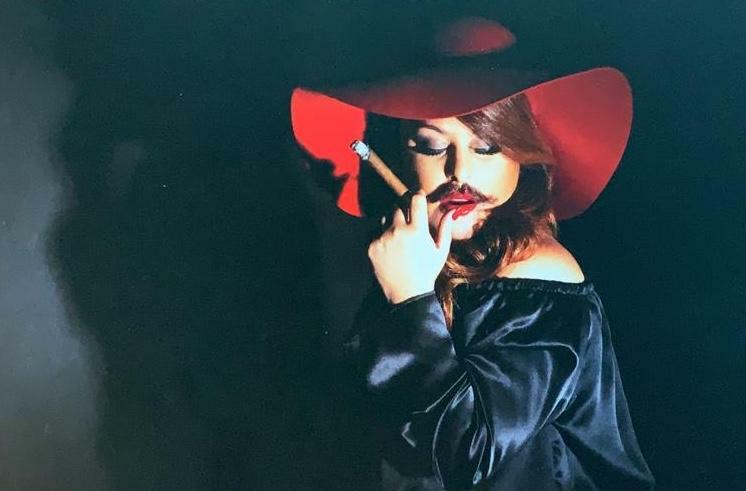 Curated by Dayalis Gonzalez, with 39 artists from across the globe exploring the essence of the feminine being and in conjunction with celebrating March as Women’s History Month. 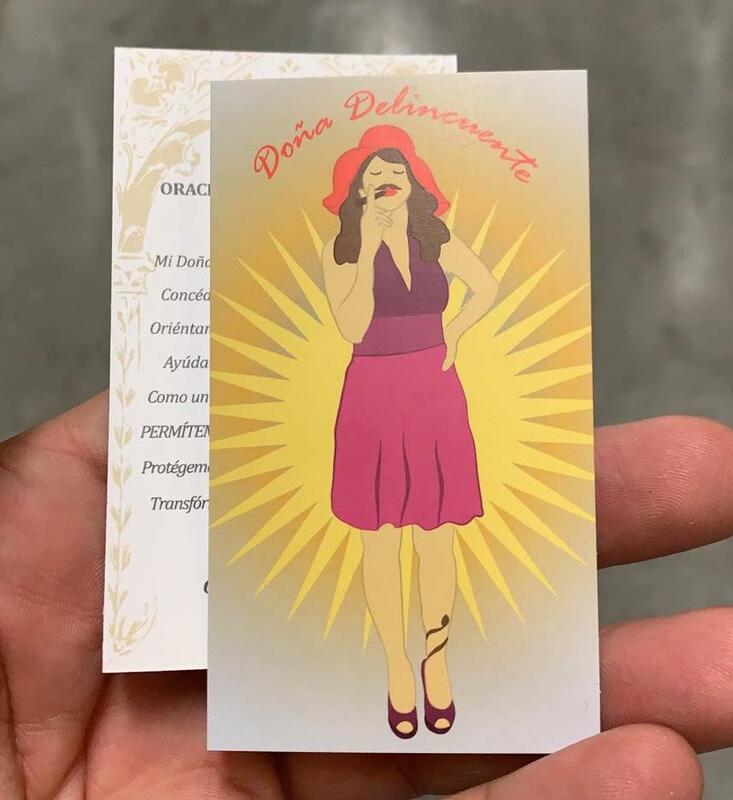 Exhibiting Artists: Adriana Amelia Gómez, Adriana Sandoval, Aurora Molina, Carlos Martiel, Danay Vigoa, Evelyn Politzer, Flor Mayoral, Gabriela Martínez, Gisela Savdie, Grethell Rasúa, Ilian Arvelo/ Diego Damas, Karla Caprali, Katiuska Saavedra, Kenia Arguiñao, Lisu Vega, Lisyanet Rodriguez Damas, Lotti Rosenfeld, Maikel Domínguez, Margarita Cano, Marielle Plaisir, Mirta Gomez del Valle, Mirtho Linguet, Morella Jurado, Nela Arias-Misson, Nina Fuentes (Nina Dotti), Orlando Gutiérrez /Herman Sckretting, Pamela Diamante, Plastic Guajiras (Amarilys González y Yailyn González), Rebecca Setareh, Rossana Jardin, Sandra Ramos, Sara Molano, Sonia Baez-Hernández, Susana Pilar Delahante Matienzo, Valeria Yamamoto, Vanessa Fernández Guasch, Verónica Fazzio, Yali Romagoza, Yara Pina. ConcreteSpace is a gallery of art, projects, and ideas. Launched in 2015, it presents contemporary art and emerging artists. 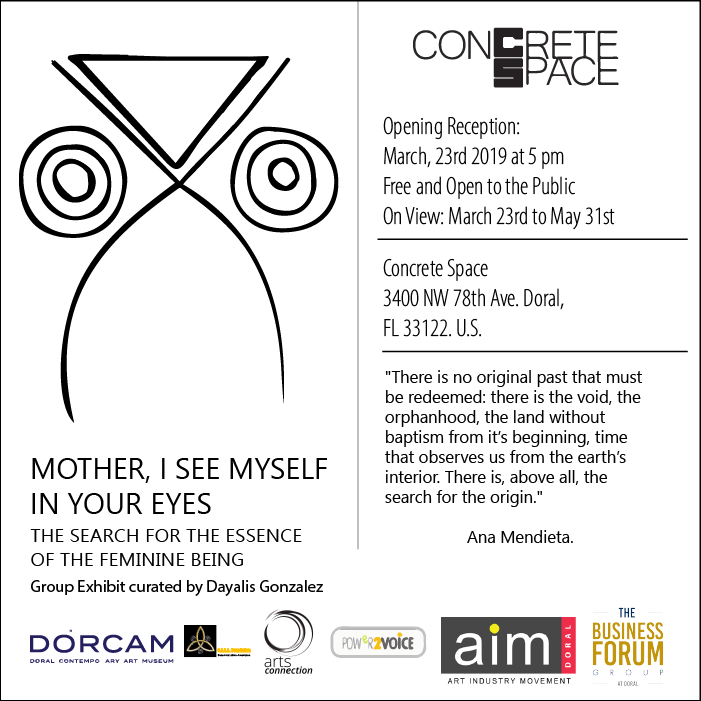 The exhibit is presented by ConcreteSpace in collaboration with Doral Contemporary Art Museum, Power2Voice, Arts Connection Foundation, The Business Forum Group at Doral, The Doral Bar Association, The Provident Blue at The Blue Miami.